• Effort and Attitude are at least as important as Potential. • A resume can readily tell you Potential; but the interview is a crucial indicator of Effort and Attitude; be sure you’re using the interview to look for the right human characteristics. 1. Tell me about yourself, your work history and your education. Pleasant opener.Look for consistency with resume. 2. What do you perceive the plusses and minuses of your current job/position to be? Has the person analyzed their current situation thoroughly, or are they just running from a problem? 4. Where do you see yourself in five years? WHY? Is the interviewee capable of strategic (long term) thinking? 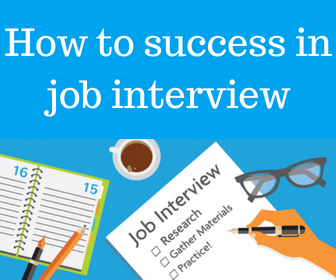 Coming up with the ‘where’ answer is step 1; but a good interviewee will also be able to tell you why. 5. What reasons do you have for wanting this job/position? 6. What do you perceive the plusses and minuses of our company, and of this job/position offer to be?Did the candidate do his/her homework in thinking through the job switch and perform adequate company research? 7. If you were to obtain this job, in what areas could you contribute immediately? Where would you need additional training? Important to gauge skillset. 9. Describe a time when you dealt with rapid changes. 10. What do you like about your present job, or what motivates you? 11. How do you organize your workload and why? Look for ability to prioritize. 13. What type of management do you prefer? 14. What would be the perfect job description for you? 1. How would you test a toaster? Look for coverage of all functional parts, matrix-based approach. 2. What is software? What is bad software? What is good software? 3. Why are manhole covers round? So they don’t fall through and injure someone like other shapes would do. 1. Identify at least two things that cause you stress and indicate how do you deal with them. Just a fishing question. 2. Do you consistently take pride in your work and demonstrate unwavering commitment to quality? If so, name two of your biggest accomplishments (tasks, or projects) that you completed at your last job and of which you are proudest.Did they bring samples to the interview (truly outstanding candidates will always possess a portfolio of their best work). Did they do the work, or some nebulous team of which they were but a small cog? 3. What disappointments did you have in your previous job? Why are you considering leaving? Don’t let them off easy—the fact that they even consider leaving means that at least some aspect can be improved. Force an honest answer to be made, hence the pause to return later. 5. Do you have any questions for me? They’d darned well better have prepared some questions for you. 6. Describe your last mistake. What was the situation and what did you do to rectify the problem? 7. Do other people consider you to be a true professional, good at what you do? If so, how. 8. Why do you do what you do? Leave it vague, measure response time and depth. 9. What characteristics would you like to change in yourself?What was the most useful criticism or feedback you received in your previous job/position? Ask the first question, then follow-up with the second killer to see if they were being honest. Press the second question hard. 10. Do you seek and request additional responsibility? Give me an example from your last job. A simple yes with no example is B.S. A no is a bad answer. A it depends… is a good answer.